The Thoroughbred is a genetically diverse breed. This is demonstrated by the variety of physiques, conformation and performances in the population. Genetic management of this diversity or ‘mongrelism’ is a key to the effectiveness of our DNA and performance data assessments. This variability means that major performance characteristics, including speed/stamina balance, are not controlled solely by any single gene. Individual genes may certainly correlate with a particular trait but they are generally part of a ‘mixture’, where strong correlations are also found with many other genetic combinations. 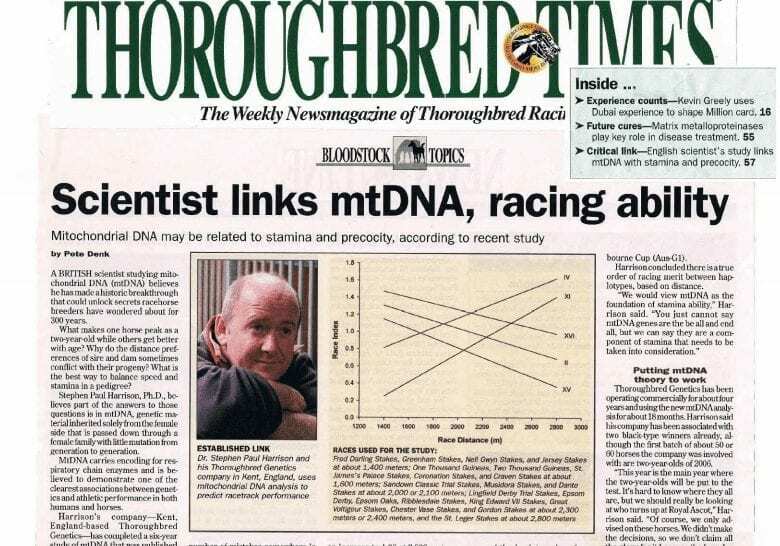 Our approach to genetic testing and data provision is based on the fact that stamina/speed components of performance are multi-factorial and it is likely that it’s the existence of Thoroughbreds of differing speed and stamina characteristics that contributes most strongly to this genetic variability and the resulting unpredictability of breeding. Finding or breeding the desired speed/stamina attributes of a horse is a key to success. Our DNA analyses of stamina and speed are based on multiple gene marker approaches incorporating the results of our scientific research. 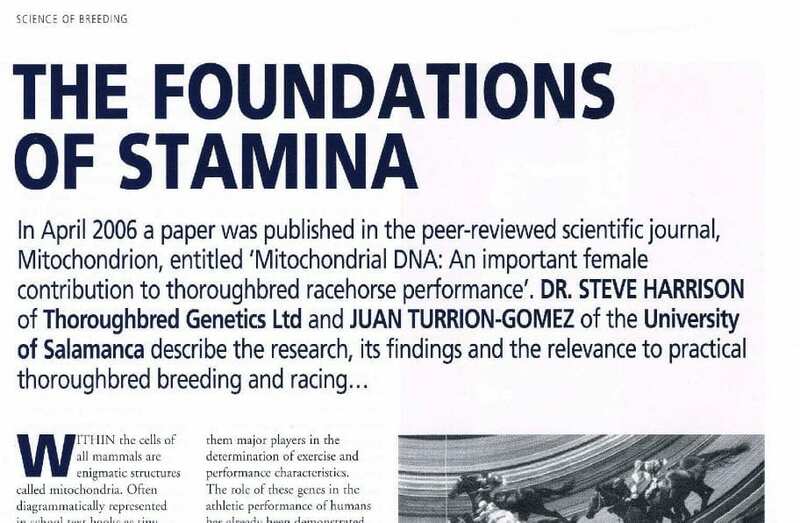 Our philosophy is founded on exact scientific research (such as our 2006 study of mitochondrial genes – the first scientific study to show a genetic association with performance in Thoroughbreds….) but has developed over the years to incorporate broader genetic interactions including these and other genes. The chances of breeding a successful racehorse are clearly influenced by probability-dependent genetic occurrences. Our aim is to manipulate and identify genetic probabilities in a more structured manner. 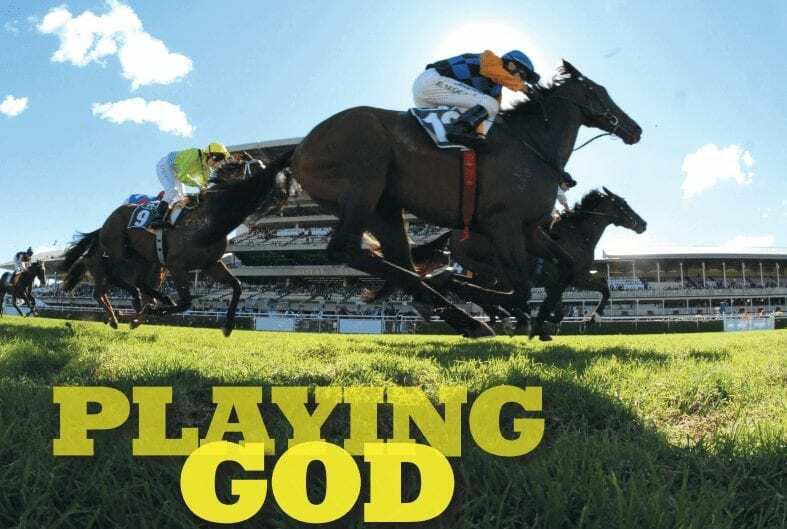 We seek to help our breeding and racing clients produce or select ‘complete equine packages’ that have been assembled with coordinated genetic components to do a specific racing job and are likely to be genetically adapted to higher levels of success in a particular speed or stamina niche. We employ a key series of DNA tests and/or genetic datasets, to help co-ordinate or identify genetic combinations that support common speed, stamina and precocity objectives. These help to produce progeny or identify horses that are more complete, targeted and uniform ‘packages’. These have both breeding and performance applications. Assessment of respiratory/energy release genes: There are 4 respiratory gene complexes that affect performance and are of primary importance to our assessments – NADH Dehydrogenase, ATP Synthase, Cytochrome Oxidase and Cytochrome b. There are two points to note regarding these different complexes: firstly, they are all part of a wider metabolic cycle called Oxidative Phosphorylation (OXPHOS) that converts glucose into the energy rich compound ATP that provides the fuel for cellular respiration and energy release; secondly, the enzymes involved are coded by mitochondrial genes passed on only by the dam but also by chromosomal genes passed on by both sire and dam. There are positive and negative interactions depending on which mitochondrial/chromosomal combination of gene versions are inherited from the parents. Part of our overall assessments is based on determining these combinations for individual horses. 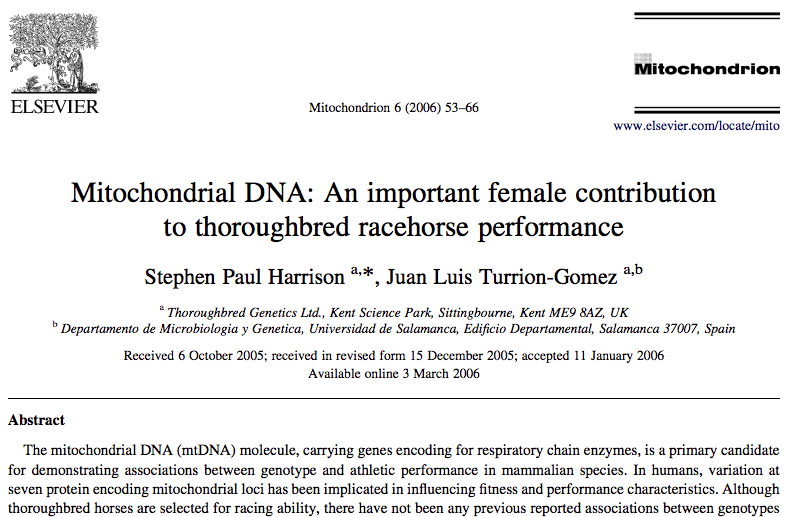 Importantly, following on from our 2006 work, it is clear that many stallions produce better progeny when crossed with mares from specific mitochondrial types. We, therefore, use databases that tell us which stallions are better used with specific mares and also of the likely effect on the stamina of the progeny. Multiple marker relatedness/cluster analysis: The OXPHOS genes are critical to our analyses but it is still important to recognise the multi-gene nature of racing performance. It is clearly not necessary to investigate thousands of genetic positions, since not all of these are related to performance but we use what we consider to be an optimum number of genetic markers. This generally takes into account between 75 and 750 genetic positions of relevance. These have been determined by studies associating presence or absence of DNA markers with performance, relatedness and stamina levels amongst a reference group of thousands of horses varying in these factors. As an example, gaining an idea of a mare’s genetic stamina cluster can assist us in manipulating the stamina profile of her progeny, determining which sires might best achieve this and even, what the potential stamina range an eventual foal may have. The chart below illustrates such an approach. 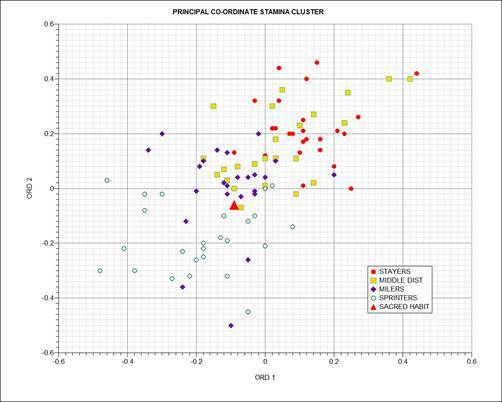 It is possible to group horses into clusters based on similarity of DNA profile via a statistical process called PCO. Except for the ‘subject horse’, each symbol in the chart refers to a DNA score from a known horse of Gr1 level performance and tends to group them in line with stamina range. 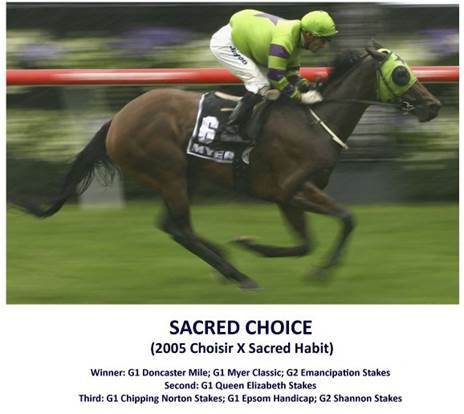 This chart is for the Australian mare, Sacred Habit (bred by Ken Williams’ Tarcoola Stud), which, using our molecular selection tools, produced the multiple Grade 1 winner, Sacred Choice. Inbreeding or Outbreeding? – Determination of heterozygosity and homozygosity: A better indication of the level of inbreeding of a particular horse is provided by use of DNA analysis to measure gene duplication. Inbreeding leads to an increase in homozygosity (gene duplication). Inbreeding is the best way of fixing consistent, positive genetic characteristics but only if duplication of the less desirable ones is avoided. Using DNA markers we have been able to determine that there is an optimum amount of gene duplication that occurs in the best performers and this also varies according to stamina range. A pedigree might indicate that an animal is actually inbred whereas often the converse exists and vice versa. We believe that inbreeding is beneficial but only when applied under the right circumstances. Through use of DNA assessment we can obtain a clearer picture of how close this can be carried out and whether it should be avoided or increased. It is more accurate to use a DNA sample to determine this but we have also been able to extrapolate data that more accurately indicate suitable on-paper inbreeding when this is required. Taking account of a horse’s heterozygosity enables prediction of the potential status of resulting foals. This allows us to aim for the optimum level in the foal, giving the best chances of performance and breeding success. Using the same example as above, the heterozygosity of Sacred Habit was very low, at around 42% – i.e inbred. Prior to analysis she has produced a series of foals that exhibited various conformational problems. Assessment of her heterozygosity, stamina clustering and OXPHOS status indicated to us to make the recommendation of Choisir as a potential mate and this successfully produced Sacred Choice.